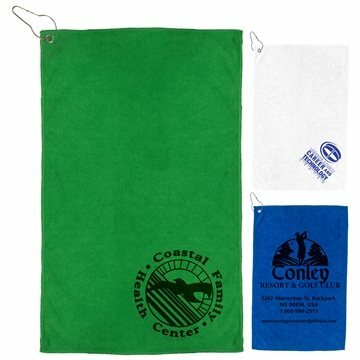 Our larger size, economical soft and absorbent microfiber golf towel is light weight and quick drying. Clean your hands, clubs, golf balls or tees. Easy access hook attachment for clipping onto your golf club bag. Overall Reviews: WRITE A REVIEW (0) "The Iron" 300 GSM Heavy Duty Microfiber Golf Towel with Metal Grommet and Clip 12"x18"